Gentle, thoughtful, not overly ostentatious, and yet another masterpiece from the mind of Miyazaki. To the dismay of many, the astonishingly talented anime director Miyazaki announced recently that this latest work, Sen to Chihiro no Kamikakushi, is to be his last. Fans hoping for a spectacular finale work on the lines of Princess Mononoke will be disappointed, for Kamikakushi, despite its often fantastical imagery, is a quiet and understated film more akin to Kiki's Delivery Service or Porco Rosso. This should not detract from its charms, however -- the film has all the wonder and brilliance of other Miyazaki films and is in some ways one of his most compelling. I pause here to note one minor quibble. 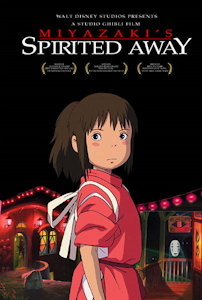 The title "Sen to Chihiro no Kamikakushi" has been officially translated as the singularly uninspiring "Spirited Away". Personally I would be more inclined to translate the title as "The Vanishing of Sen" or something similar, but it's more or less a matter of personal taste. I'm afraid that the short teaser in the synopsis box above is all I can reveal of the movie, because it's one of those rare films (much like other Miyazaki works) in which the sheer joy of discovering along with Chihiro the weird and wonderful world in which she finds herself forms an essential part of the experience and accounts for much of its charm. No-one does peculiar worlds quite like Miyazaki, and in Kamikakushi he draws loosely on Japanese mythology and strongly on his own boundless imagination to create a small yet intricate pocket universe populated by all manner of creatures. To put things in perspective, of all the myriad characters in the film, only Chihiro, her parents (briefly) and one or two others are actually humans. There are dragons and talking frogs, mud monsters and industrial spiders, witches and ghostly shades -- all given a unique and believable life of their own. Special mention must be made of the main character, Chihiro/Sen herself. (The name Sen is a replacement name given to her in the course of the film.) Physically, she is perhaps unique for a Miyazaki film in that she does not resemble the Nausicaa template most of his other female leads have been drawn from. Rather, she looks more like an older version of Setsuko from Grave of the Fireflies, complete with puffy cheeks and downcast expression. Her character also is unusual; instead of being bright-eyed and eager, or tough and formidable, Chihiro has a personality that can only be described as "stroppy" -- angry and miserable, and unwilling to do anything out of the ordinary. In the course of the film, however, she matures and finds the things she truly values -- though not in the clichéd and obvious manner of other, similar, stories. Her stubborn and obstreperous nature gets her out of trouble as often as it gets her into it, and eventually both endangers and saves her new home from disaster. Both the artwork and animation quality are absolutely superb, and despite the restrained nature of the film, actually surpass the heights seen in Princess Mononoke; even that movie had minor animation flaws, such as the rough movement of the wolf goddess's face when speaking. Kamikakushi has no such flaws; everything is animated with a depth and perfection breathtaking to behold. Moreover, computer animation is used to its greatest extent yet, but adds to rather than detracting from the cel artwork, and is mainly used in scenes such as a car drive along a circular track around a statue, where the constant shifting of viewpoint would be hard to normally animate fluidly (see Porco Rosso, in the scene where he flies in a circle above the seaside villa, for an example of the problems rotating viewpoints have for anime). Many of the environments are the stuff of drug-induced hallucinations, and it can only be wondered at what aids Miyazaki used to find inspiration for some of the film's content. There are some genuinely unique animated moments -- in how many films have you seen someone free-falling out of the sky and crying tears upwards? His love of flying machines is, unfortunately, poorly represented here, the closest parallel being a dragonback ride similar to the brief flight sequence in My Neighbour Totoro. His more recent fascination with things that go gloop, however, as last seen in Princess Mononoke, is very well evident, ranging from a shape-freezing sluglike critter, to a creature made entirely of mud (at least, I think it was mud. It could have been something altogether worse) to the splattering of the furniture and innocent bystanders with sickly vomit by a certain masked ghost when it falls ill. The music is as good as any Studio Ghibli film -- that is to say, excellent. Everything is perfectly calculated to the mood of the scene; the ominous, vaguely African voodoo theme that accompanies the masked ghost in its early scenes is particularly noteworthy. Also, there are many scenes that have no music at all, and this vastly adds to rather than subtracts from the effect. The background theme tune is memorable, although it sounds oddly similar to the background theme in Nausicaa, while the ending song is a haunting tune just as distinctive as any other classic Ghibli song and likely destined to become just as well-known in Japan as all the others. The plot is a familiar one: broadly, it is a classic finding-your-way story about a girl who finds herself alone in a strange new home, and is forced to try to fit in, working hard, braving the comments of others around her and enduring the hostility of the hotel overseer (a rather unsavoury hag called Yubaba-sama). For Chihiro, this is made even harder by the fact that everyone around her dislikes humans on principle. However, the basic story is nowhere as predictable as it might at first seem, with several sub-plots weaving themselves effortlessly into the tale. Part of the story focuses on the importance of knowing yourself for who you are, shown through the characters' search for their own true names -- Chihiro is renamed Sen and begins to forget her old name and past until a chance accident refreshes her memory. She then eventually sets out to help another once-human boy remember his own real name. 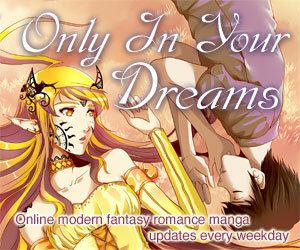 In addition, the portrayal of characters and events is quite different from the standard for this type of story. Chihiro's parents, seen only in relatively short segments at the beginning and end of the film, are neither impossibly perfect and loving, nor cruel and villainous -- they are sometimes inattentive, sometimes strict and impatient, but basically decent, just like ordinary people. Thus Chihiro is neither the poor abused girl trying to escape her parents, nor the sheltered and frightened girl left alone in a strange world; rather, she is simply herself, with elements of both these factors. As with most Ghibli films, the supporting characters are likewise quite human despite their strange appearances, with both human failings and uplifting traits that keep them from becoming predictable stereotypes. Even Yubaba-sama has redeeming qualities; she might threaten to kill "Sen" early on, and later force her to do the dirtiest jobs, but she gives her a chance at least, and has a definite soft spot for the oversized baby she takes care of in her chambers, even if her affection is somewhat misguided. 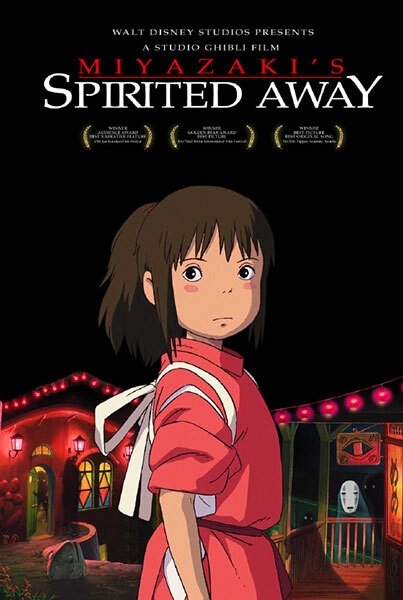 There are plenty of light-hearted moments in the film, ranging from the complaints made by the hotel workers about Chihiro's unpleasant human odour, to the amusingly weird antics of a fat mouse and tiny bird she befriends after a rather odd series of circumstances, to an utterly priceless sequence involving Chihiro's first encounter with the tiny hardworking spiders who feed the smelter in the basement. The interactions of the various characters are a joy to watch and are often quite funny. Nonetheless there are some dark undercurrents here -- anyone who has played the Nintendo 64 game Zelda: Majora's Mask will understand perfectly what I mean. The shadowy masked ghost speaks with the voices of those it consumes; humans who wander unknowingly and unprotected into the non-human world (such as Chihiro's parents) are transformed into ugly squealing pigs; a dragon -- who turns out to be someone Chihiro knows and trusts -- becomes seriously injured, spewing blood over everything for quite some time and viciously attacking anyone who tries to help it. Not to mention that some of the creatures roaming around the hotel and working in the market would be enough to give anyone nightmares. More than this, though, it is the mood of the various situations that drives the story -- somehow there is a dark tone present in many scenes that give seemingly harmless things like grinning rotund statues, paper cutouts or motionless shadows an air of brooding disquiet, quite different from the normally lighter atmosphere of Miyazaki films. The film finishes up with one of the understated endings so beloved of Studio Ghibli's directors, and is not nearly as clichéd as might be expected. Chihiro does not find true love with the boy she helps, or if she secretly thinks she has, she does not pursue it; the mysterious world she enters and eventually leaves does not turn out to be a dream; she has not undergone any dramatic or obvious personality changes by the end of the film, but has nevertheless grown and changed. At the end, she holds firm to what she truly values, despite everything she has seen. I must admit, though, I didn't find the sub-plot about the masked ghost properly resolved, but it's entirely possible that I missed some crucial dialogue. Overall, Sen to Chihiro no Kamikakushi is yet another masterpiece from the mind of Miyazaki, and doubly poignant since it is his final work. Not overly ostentatious, it is a gentle and thoughtful film that nevertheless demands attention. It is in itself an understated and fitting ending to a great career.